Hispano-Suiza was a Spanish/Swiss company that set up a French arm in 1911, which became their main factory in 1914. And in 1923, the French part sort of became its own company altogether, which is why this car is listed under “France” in our cars by country list. The H6 went on sale in 1919 and was usurped by the H6B in 1922. More powerful than its predecessor, the H6B gets moved along by a 135 horsepower, 6.6-liter straight-six. It was a popular model and remained in production alongside the even-better H6C for a few years. The Henri Chapron-built body currently on this car was added five years after it was originally sold, replacing whatever the original body was. The car has been stateside since the 50s, and has been winning awards at major shows for the last 15 years. Click here for more info and here for more from this sale. 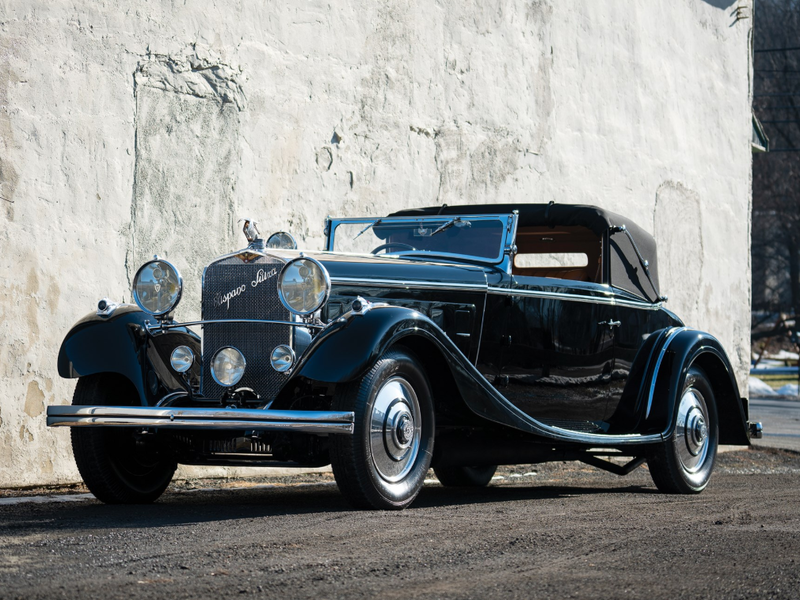 This entry was posted in Uncategorized and tagged 1926, auctions, cabriolet, cars, chapron, classic cars, h6b, hispano-suiza, Le Dandy, rm sothebys by classiccarweekly. Bookmark the permalink.